James Foley pauses while covering the civil war in Aleppo, Syria, in November 2012. Most mainstream news organizations chose not to show or link to the sickening videos, or to publish still photos showing Foley being beheaded. One exception was the New York Post, which ran a front-page picture showing the journalist just as the knife was put to his throat, with the one-word headline: “SAVAGES.” For doing so, the paper was vehemently criticized. Buzzfeed editor Adam Serwer echoed the widespread view that to publicize the gruesome image was to give the terrorists more of the notoriety they crave. “Pretty sure ISIS could not be happier with the New York Post’s front page today,” he tweeted. Would that have been Foley’s reaction? Would he have clamored for self-censorship and a media blackout? Or would he have wanted decent people everywhere to know — and, yes, to see — the crimes being committed by the ruthlessly indecent killers calling themselves the Islamic State? The intrepid and compassionate reporter from New Hampshire didn’t travel to Syria to sanitize and downplay the horror occurring there. He went to document and expose it. The 4-minute, 40-second video that records the last moments of Foley’s life may be slick jihadist propaganda designed to intimidate ISIS’s enemies and recruit more zealots to its cause. But it is also a key piece of the news story that Foley risked everything to pursue. That story cost him his life. The least we can do is bear witness to the courage and dignity with which he met his awful end. Anyone with a heart understands why Foley’s anguished loved ones would want his murderers’ gloating depravity to be suppressed. When The Wall Street Journal’s Daniel Pearl was beheaded by Al Qaeda in 2002, his family issued a similar plea. “We should remove all terrorist-produced murder scenes from our Web sites and agree to suppress such scenes in the future,” urged Daniel’s father, the scientist Judea Pearl, in a published essay. But we will never prevail over an enemy as barbaric and totalitarian as the Islamic State if we avert our gaze from what it does to those it vanquishes. There are times when it is necessary to see the evil, not just to read or hear about it. Images, especially of man’s inhumanity to man, can often convey truths and illuminate reality with an urgency that the best-chosen words cannot match. It would have been unthinkable for the media to suppress the photos and video of the carnage at the Boston Marathon last year, or of the mutilated bodies of US soldiers being dragged through Mogadishu in 1993, or of Senator Robert Kennedy’s assassination at the Ambassador Hotel in Los Angeles in 1968. Jurors in the Whitey Bulger trial weren’t just told what the gangster did to his victims. They were shown the ghastly crime-scene photos. But this isn’t a close call. What was true of the video of Daniel Pearl’s beheading is true of James Foley’s. It is true of the other videos of mass-murder and beheadings that ISIS terrorists have been disseminating as their so-called caliphate metastasizes through Syria and Iraq. They clarify beyond all denial the utter monstrousness of an enemy we must destroy, or be destroyed by. 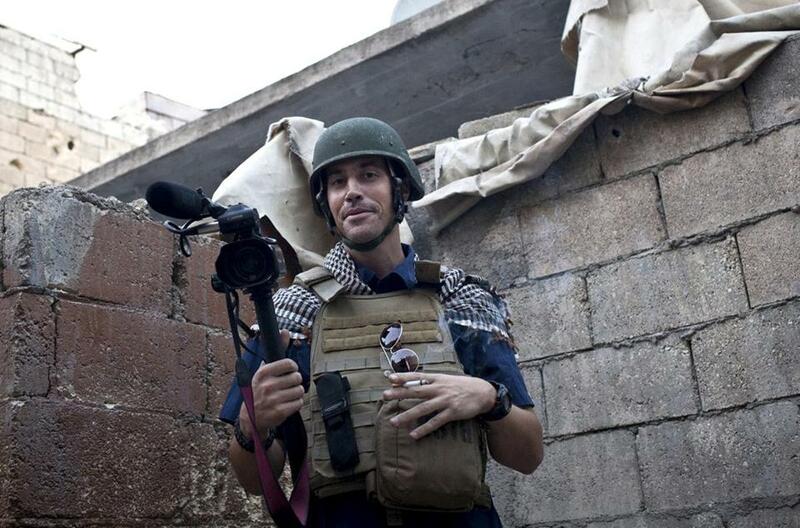 James Foley didn’t hide from that unvarnished truth. The rest of us shouldn’t either.